Each week we feature an app that has caught the attention of the Crozdesk community. We look for exciting features that make our lives easier, apps that take a radical approach to existing problems or a service that has everyone talking about it. In other words, apps that we think you should know about. This week’s featured app is the versatile team collaboration and task management app Glip. 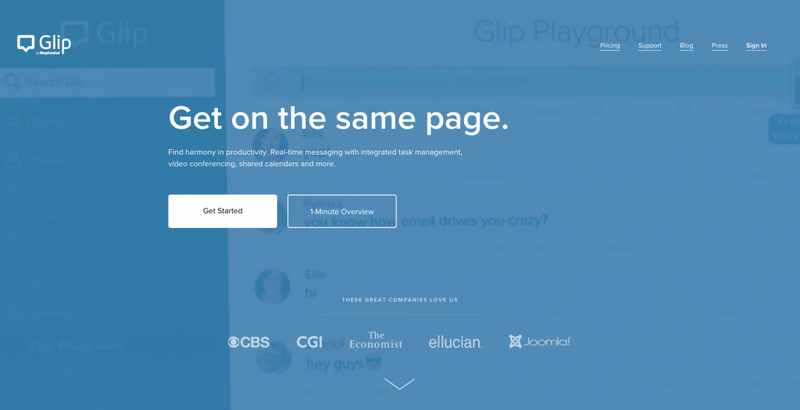 Glip was founded in 2012 as an all-in-one messaging and collaboration product that combines an array of workplace tools such as communication, task management, notes and video conferencing. In 2015, Glip was acquired by cloud-communications provider RingCentral, a publicly traded business with over 300,000 customers. Going forward, the Glip team plan to continue to integrate Glip with RingCentral. With the background out of the way, let’s take a look at how Glip works. The sign-up process with team collaboration app Glip is relatively easy, sign in with your RingCentral or Google accounts, or create a new account. 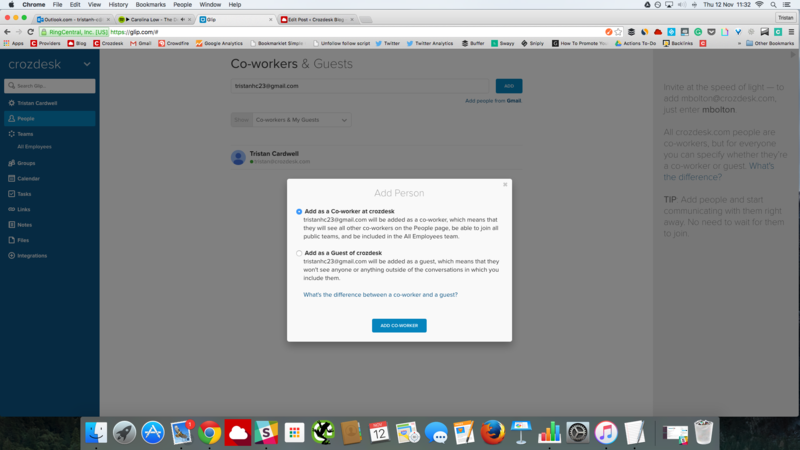 The People function of Glip allows users to connect with co-workers and guests by entering their email address or adding them using Gmail. You can invite members of your own team, who share your email domain, by simply typing the first part of their email address. Contacts can be added as co-workers, meaning that they will be able to see all other co-workers on the People page, join public teams and be included in the All Employees team. Alternatively, contacts can be added as guests, meaning they won’t see anyone or anything outside of the conversations in which they have been purposefully included. This is a useful feature for client collaboration, where a team wishes to bring a client into the loop on a specific project but not allow proprietary or confidential data to be viewed by that client. Once added, the co-worker will be sent an email invitation to join the team. Helpfully, there is no need to wait for the contact to accept this invitation before communicating with them. The newly added co-worker’s profile will appear under your own profile on the Co-workers and Guests page; users can reinvite the contact, adjust email preferences and other settings related to this contact from the main people dashboard. The contact will also appear in the left-hand ribbon, underneath the People icon, clicking on their profile here will display a history of any communications associated with this contact. 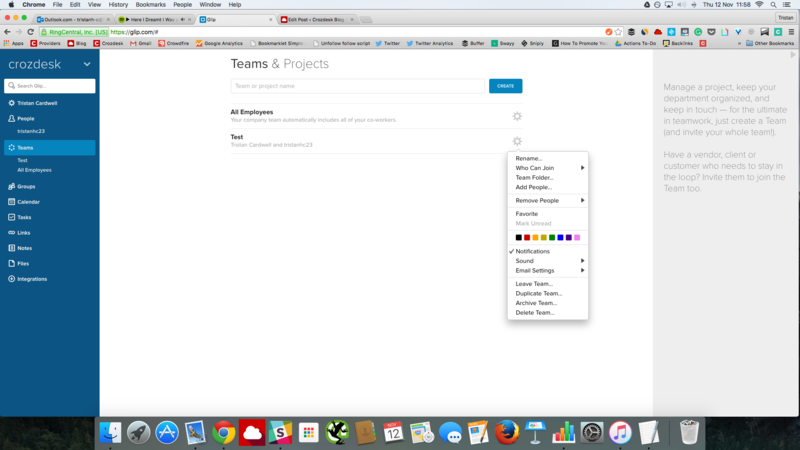 The Teams screen in Glip allows users to create new teams and edit existing team settings. A default All Employees team is already created in this window and users have the opportunity to create further teams by clicking the “Create” button and providing a team name, the email addresses of members and preferences related to whether or not the team is public. The team settings panel can be accessed by hitting the cog icon giving options to rename the team; edit member access preferences; add and remove team members and edit sound and email settings relating to the team. The groups screen allows informal chatting between three or more Glip users. The function is designed for informal office communications such as lunch plans, rather than specific project or work related discussions, which are best conducted in the teams function. New events can be scheduled by clicking on a particular day, while tasks can be created by command/control-clicking on the due date. Alternatively, hit the “New” button to create an event; this function allows you to specify start and end times; repeat preferences; colour; location and description. Usefully, the calendar feed function allows you to view events from your Glip calendar in your calendar application of choice, such as Google Calendar, Outlook or iCal. To toggle this function, simply copy the URL provided by Glip for your calendar feed and then follow your calendar application’s instructions for adding/subscribing to a calendar by URL. 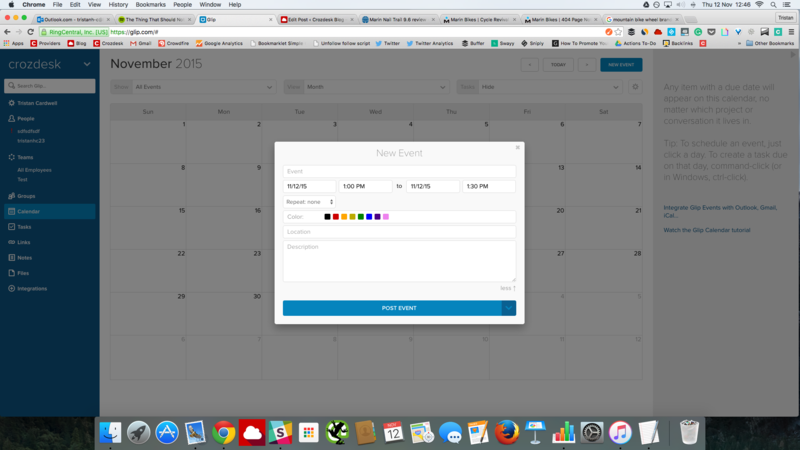 After subscribing to the calendar feed, your events from Glip should appear instantly. The tasks function allows users to list all tasks relevant to their team, or to them individually. New projects need to be created in the projects window before tasks can be added to them. The New Task window allows users to specify the task title, assignee, repeat preferences as well as details of how the completion of the task will be defined. Files can also be added to the task at this stage. Tasks can be filtered by personal tasks only, and also by status, conversation, section, colour, assignee or due date. The links feature is a page displaying all links shared throughout team conversations, links can be filtered to show only links that have been shared with you personally. The notes feature is a document collaboration function which allows team members to create, share and edit documents collaboratively. Creating a new note takes the user instantly to a new document with various familiar editing options displayed on the ribbon at the top. 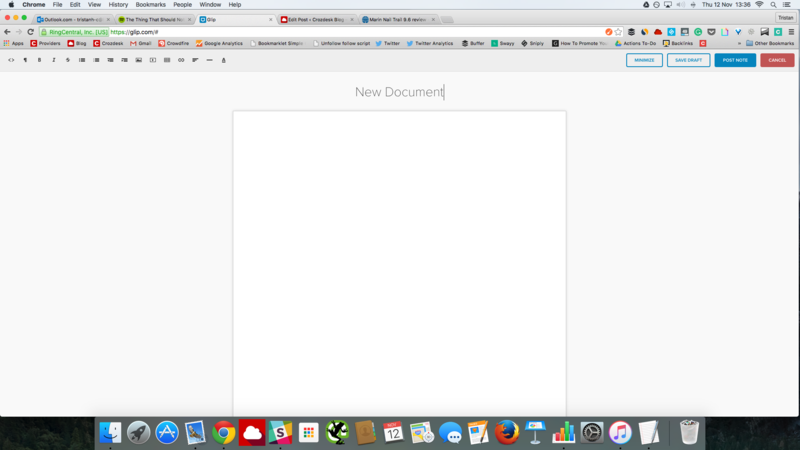 These include a function which converts the document to HTML format; the ability to alter font size, make text bold or italicise it; a strikethrough option which deletes text but shows it has been deleted to other users; bullet and number functions and the option to add links, media or images to the document. When a note is complete, you can post the note to a particular team or Glip user. The Files window is an area for sharing and storing files between users. Files shared through conversations on Glip will be automatically stored here and new files can be uploaded via the “Add File” button or by dragging the file from your desktop. 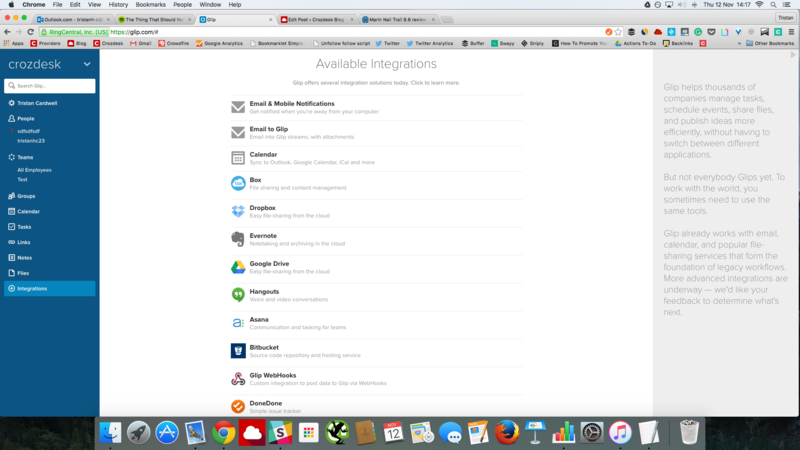 Files can be added from DropBox, Box, Evernote, URL or Google Drive. Once uploaded, files can be commented on by other team members, provided they have been given access to the file. Files can also be downloaded, liked, favorited, shared, moved, edited and deleted from the Files area. 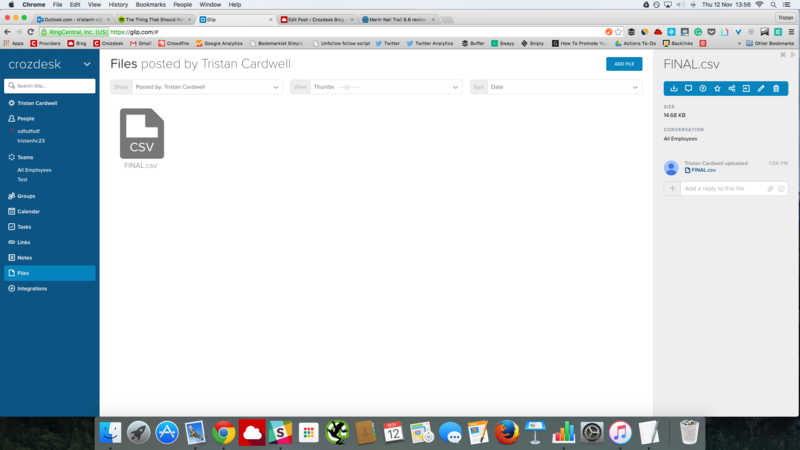 Where the file format allows, files can be previewed by clicking on them, this opens the file in your browser. 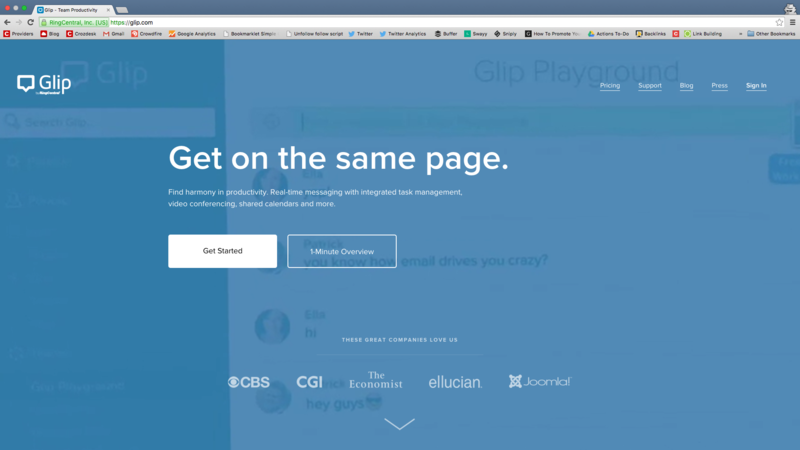 One of Glip’s advantages is the range of other web apps it can be paired with, in fact, the list is surprisingly large and includes: Outlook, Google Calendar, iCal, Box, Dropbox, Evernote, Google Drive, Hangouts, Asana, Bitbucket, Glip WebHooks, DoneDone, GitHub, Harvest, JIRA, MailChimp, PagerDuty, Stripe, Trello, Zapier, Zendesk. 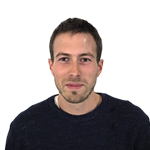 If this isn’t enough, the Glip team are also interested in receiving feedback from users wishing to have Glip integrated with an app of their choice – showing that the aim is for Glip to be made as compatible as possible with other platforms. Find out more about Glip on the Crozdesk Glip provider page. This app looks great! Can’t wait to give it a run. Nice post!